I’ve been working in the film and television business as an Artist, a Visual Effects Supervisor, Visual Effects Producer and a Second Unit Director for more than 25 years. As of this post I have contributed to 60 projects, see my IMDB listing here, many of which have been well enjoyed by viewers. The Tudors is one example that comes to mind. However, I’m quite sure that there is no other project I’ve worked on that is more beloved by it’s fans than The Expanse. In return, everyone on the show understands that our work, including the science we employ, must be held to a high standard. 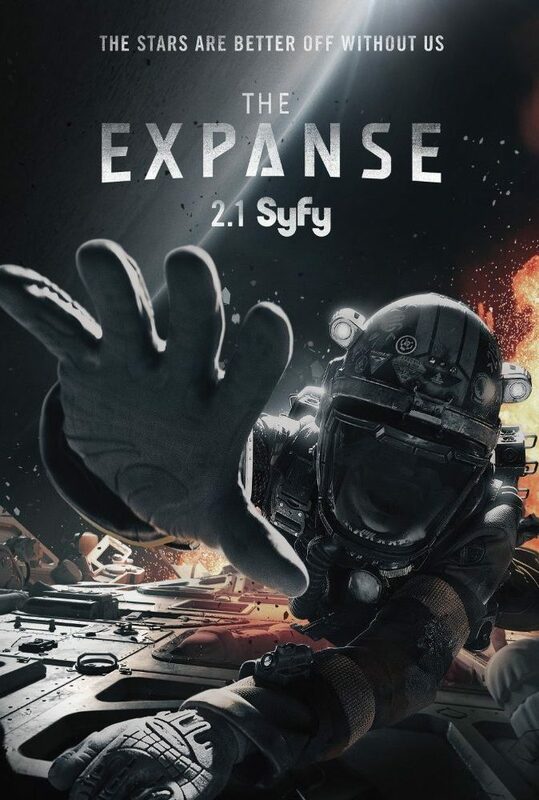 For those who are unaware, The Expanse is a science fiction detective noir television series based on the critically acclaimed, best selling books by James S. A. Corey, the combined pen name for Daniel Abraham and Ty Franck. The story is set 200 years into the future at a time when humans have colonized the solar system. The three main factions are Eathers, Martians and Belters. Like most good sci-fi, there is a clear reflection of our contemporary times, especially concerning politics. Variety writer Maureen Ryan credits the show with tackling “issues of class, representation and exploitation”. 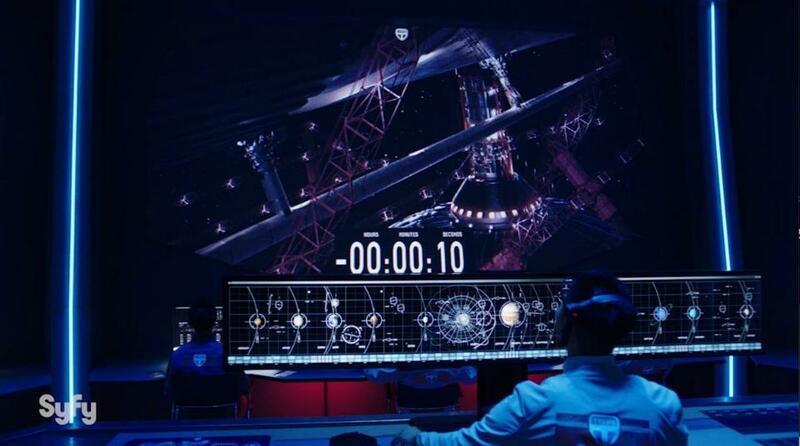 I’m the even block Visual Effects Supervisor for season 2 of The Expanse. A block consists of two episodes. Therefore I’m responsible for block 2 (episodes 3 and 4), block 4 (episodes 7 and 8), block 6 (episodes 11 and 12). Bob Munroe was the Visual Effects Supervisor on season 1 and is the odd block supervisor on season 2. We also help out on each other’s episodes when need be. There are several reasons we split the work this way. The first is that we shoot in blocks. When an odd block is filming Bob and our On-Set Visual Effects Supervisor, Marin Tori, make sure things are done correctly. While that is happening I’m prepping an planning for the next block as well as working with our vfx vendors and editorial team on even block material. When an even block is shooting Bob and I switch tasks. Martin is the constant on-set. However, it’s never that clean. For example, while shooting we often meet with our vfx vendors over lunch, review shots between takes, slip away to editorial to give input, etc. Another reason we divide the vfx duties is that approximately one out of every three shots requires visual effects in the second season. That’s somewhere in the range of 2700 vfx shots over the 13 episodes. That’s a lot of shots! And if you’ve seen the show you’ll know that many are completely cg creations or otherwise epic in scope. In order to deliver at the required quality and volume we have employed 12 different visual effects studios. In alphabetical order they are Atmosphere, Encore/Deluxe VFX, Gizmo VFX, John Mariella, Junction Box, Keyframe Digital, Mavericks, Oblique, Rocket Science, Spin, Switch and Torpedo. We have also worked with Breeder for the opening titles and North Font for concept art. The management of all that keeps Bob and I, as well as our VFX Producer cohorts Cailin Munroe and Krista Allain, and VFX Coordinator Alison MacMillan on our toes. As I’ve said elsewhere, we work hard to get the visual effects right so it’s nice to see them so well received. Here is one of several similar 5 star reviews of the The Expanse Season 2 Episode 4: “Godspeed”. 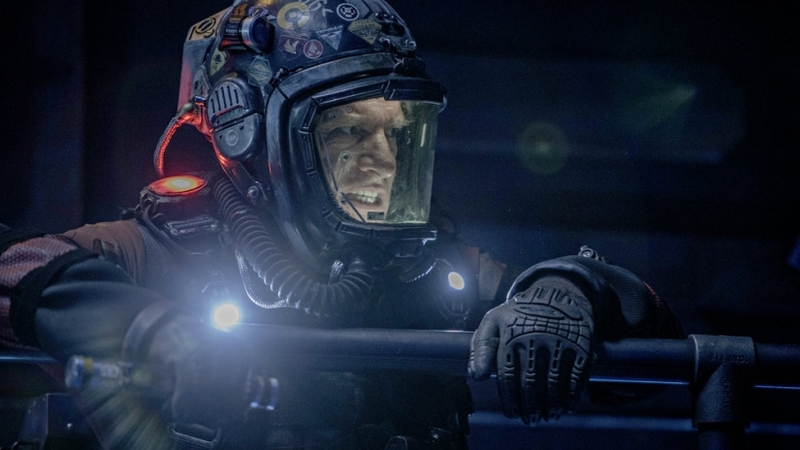 Mind-blowing visuals accentuate a brilliantly insane plan and a heart-stopping twist in this week’s episode of The Expanse. Here are a few additional highlights from the review. Here’s a Forbes article by Kevin Murnane. Here are a few more highlights from the article. Finally, for those of you who rightly point our there is no sound in space, here’s a response from our Showrunner Naren Shankar.